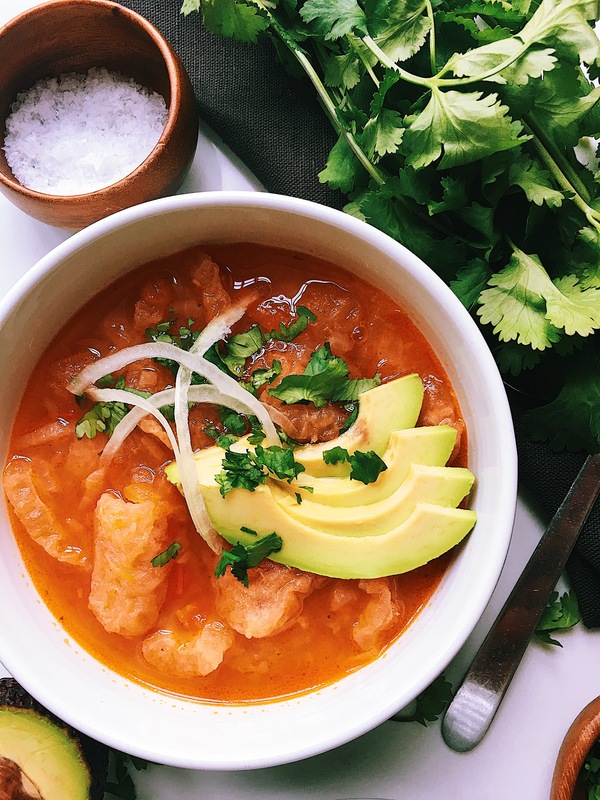 I am cooking today something that I have been craving for a while, pork crackling soup is a lovely and delicious soup that it is usually serve as a little starter in restaurants in Mexico while you wait for your main meal. It is a very easy recipe, but full of flavour. 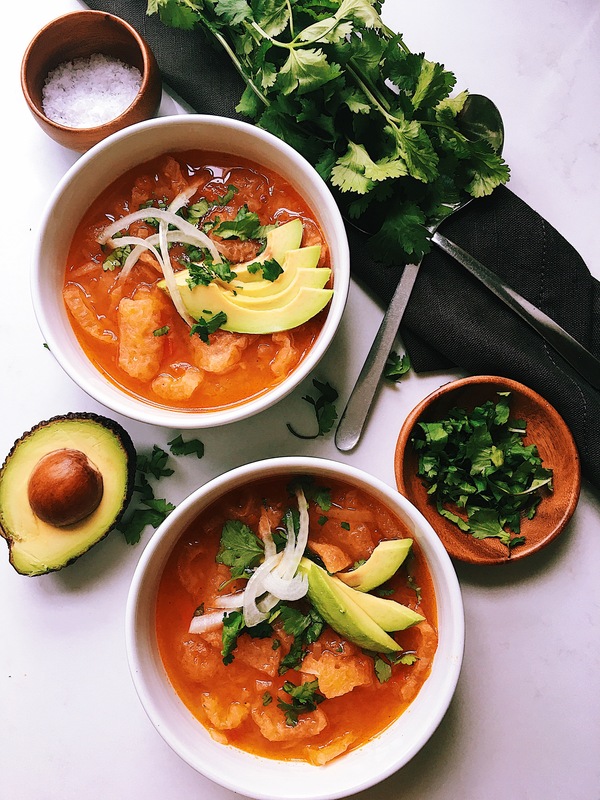 I bought my pork crackling in China town and it is just like the one you find in Mexico and when you cook it in this simple tomato & onion broth the flavour is just amazing. Chop the tomato and onion. Heat the oil in a large saucepan, once hot add the onion and the tomato. Cook for 10 min and add the chicken stock. Let it come to a simmer & add salt, pepper & oregano. Then add the pork crackling and let it cook until all the cracking is soft. 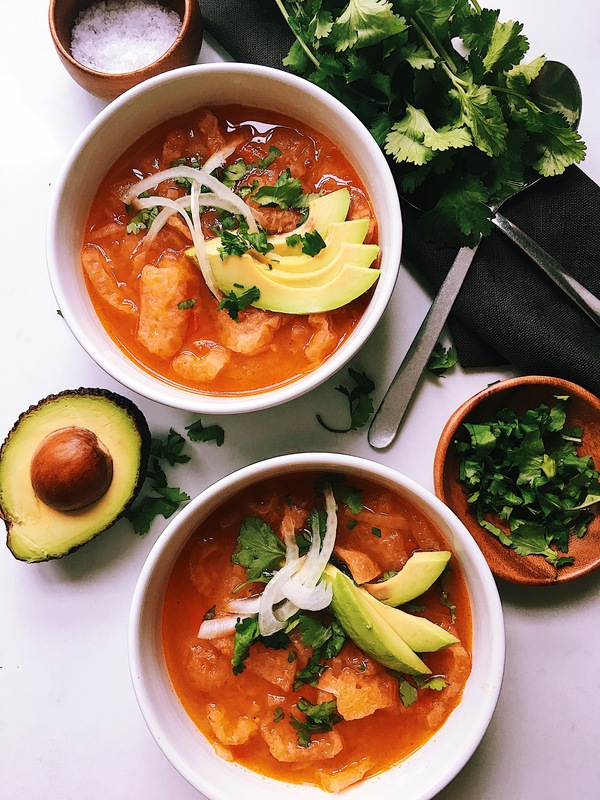 Serve it in a bowl and garnish with chopped coriander, slices of avocado and chopped onion. Enjoy it as a starter!